picket fence. 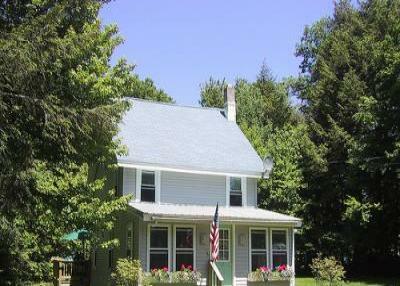 “Cat’s Meow” is an ideal vacation home in any season. water access with a dock and rowboat on West Caroga Lake. collection of CD’s are included. the deck have beautiful views of the woods. postcards of Caroga Lake . fan. Amenities include a hair dryer and ironing board. chairs for evening campfires and stargazing. brilliant in autumn, the winter branches coated with sparkling snow. young children. Adirondack chairs are provided for watchful parents. 1920’s amusement park, located just a few minutes walk away. snowmobile corridor with access to hundreds of miles of trails. heart, where time stands still. regional tourism information. Email owner for link. the Stinky Art Company in Northville. great massage therapists in Amsterdam. Adirondacks include three in our area. carousel and Ferris wheel, hosts live music most summer weekends. venue. Saratoga and Cooperstown host renowned summer opera seasons. The Pepsi Arena in Albany has headliner concerts. Albany, the Egg hosts a variety of performing arts events. Homer paintings at the Canajoharie Library and Art Gallery. July and August: $1,600 per week, from 6 p.m. Saturday to 11 a.m.
Kayak & Canoe Rentals: $25/each per day, $100/each per week.